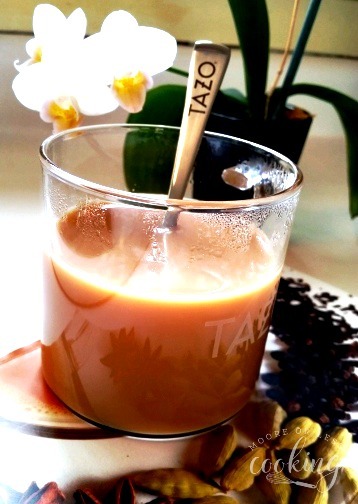 A delicious creamy blend of black tea, cinnamon, ginger, cardamom and vanilla flavor. This is the perfect blend of sweet meets spicy. Life can be stressful….. there just aren’t enough hours in the day to get the things done that I need to. But every day, I remind myself to slow down, breathe, not take life so seriously and remember to enjoy healthy, delicious foods and drinks. One of my favorite drinks is a Chai Latte. But I just don’t have the extra time to run out and get a Chai Latte in a shop. Now I can enjoy the new TAZO® Chai Latte K-Cup® pods from the comfort of my own home. There’s something about the rich, creamy taste of an authentic TAZO® Chai Latte, with every sip providing a spicy and sweet escape from a stressful day. As I relax, my taste buds take me on an imaginary journey through exotic lands of sweet cinnamon, fragrant cardamom, and spicy ginger, leaving me feeling invigorated by the aromatic flavors and ready to travel around the world. Beng a Chai lover, I am delighted by the sweet taste of cinnamon and creamy milk blended with the spice of exotic cardamom and zesty black pepper. 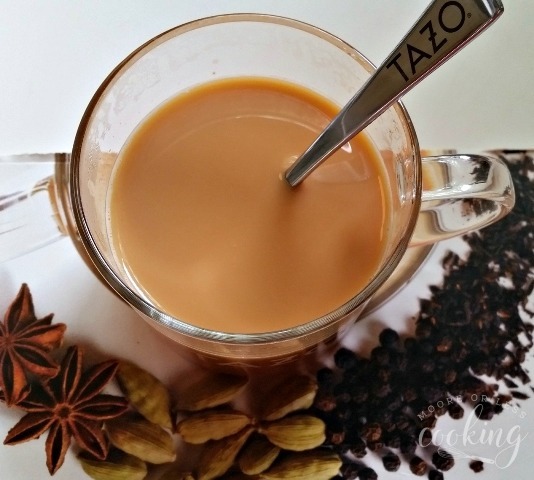 The NEW TAZO® Chai Latte K-Cup® pods are made from milk, tea leaves, and spices. Steeped in 5,000 years of Indian history, chai is a black tea blend that’s part sweet, part spicy, and totally unexpected. 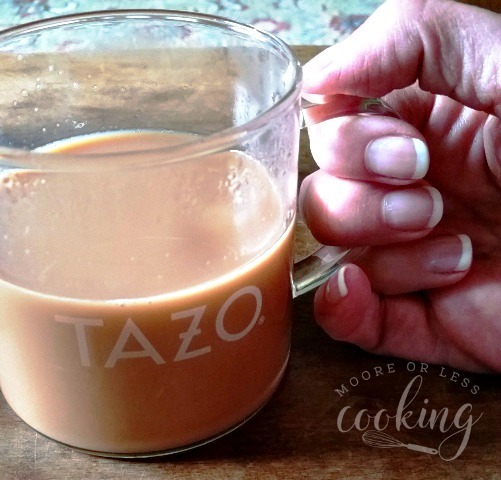 Tea and chai have always been a part of Padma Lakshmi’s life and family heritage and she is celebrating the flavors of chai with TAZO®. Pour sweetened dairy packet into an empty tea cup. As I sit here and drink my morning tea, I am now craving this delicious latte. I may need to run to the corner for a Starbucks fix. That would be a wonderful snack in the afternoon. Sounds delish. I could go for one of those right about now. I love Chai Latte! Just a few ice cubes and this becomes my favorite summer drink! I love chai tea! And this latte looks fabulous! You’re right, I need to low down, breathe, not take life so seriously! Some days I’m better at that than others. Maybe this chai latte will help me too! Thanks so much for this reminder! Perfect afternoon pick me up treat! i want one now! I drink Tazo tea. This drinks is going to be in my kitchen soon! Love Starbucks latte’s! This sounds delicious. It’s great that now we can purchase the pods to make our favorite drinks at home with no fuss. Chai latte whether it is iced or hot is just oh so good. So sweet with a little spice so so yummy. I love the smell of Chai, such a relaxing scent! Tazo teas are my favorite!! I LOVE their Earl Grey, especially!